Totnes Connection Hub received quite literally a large donation cheque from Stoke Gabriel Community Concerts towards the work with homeless and people in need. 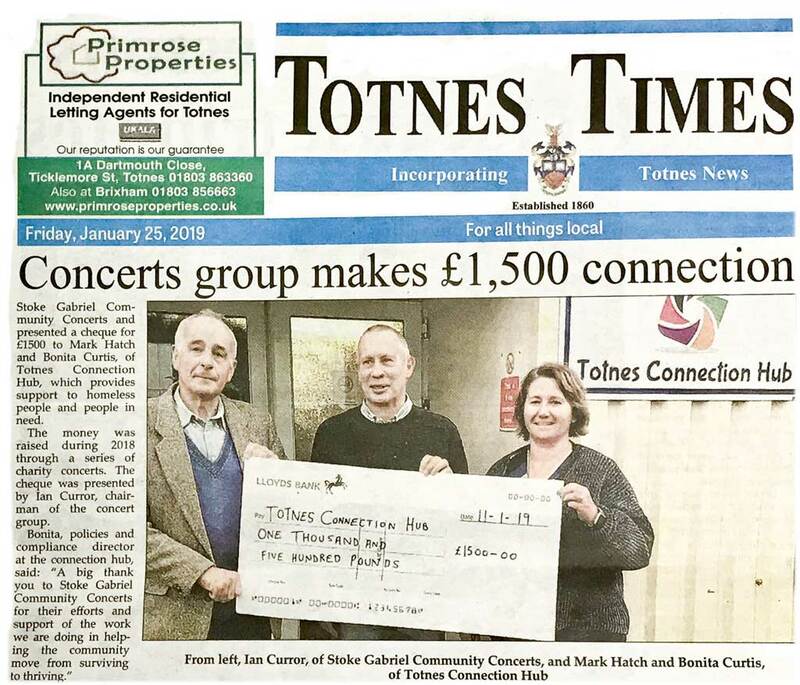 A big thank you to Stoke Gabriel Community concerts and to Totnes reporter Katie Philbin and the Totnes Times for highlighting the continued support. And indeed to all supporters who have been bringing in donations via all sorts of fundraising events through out the year. This is important for Totnes Connection Hub helping the community move from surviving to thriving. What is Totnes Connection Hub?